Here is one man living in a Dystopian world. He was traumatized as a young child. It was difficult for him to deal with his childhood trauma so he created another personality to cope with his pain! His alter ego’s uncontrollable anger will explode after being suppressed in his subconscious. But the problem is that he will have no recollection of what happened while he was in a rage. But the split personality turns out to have splintered into a third, fourth, fifth, sixth and seven personalities. He quietly seeks medical help and is diagnosed with Dissociative Identity Disorder. What caused him to have multiple personalities? Why did his mind have to create seven personalities to suppress his past? What terrible things happened that he can’t remember now? An annoying woman appears in the life of this man who is torn apart. She is a psychiatrist but quite transparent in her intentions. He almost even dated her. When he asked her to take him on as her patient, she turns him down but offers to be his friend! Credits to owner & Kill Me Heal Me fb page. Which of Ji Sung's 7 personalities from 'Kill Me, Heal Me' are you? Relive the 10 funniest moments of 'Kill Me, Heal Me'! To those whom I forgot to mention. All photos are courtesy of MBC Korea and MBC Global. All information, translation, fanarts must be taken out with permission. So it looks like MBC is going ahead with Kill Me, Heal Me as their next Wednesday-Thursday drama in the new year. This is the other drama with a hero who has a split-personality (I knooooow, of all the trends), that Hyun Bin got into a media scuffle with over his potential-maybe-but-not-really casting. He ended up taking SBS’s Jekyll and Me instead, and now Kill Me, Heal Me has secured a timeslot and is finally back in the casting game. @Maetawinz‌" Thanks for starting this thread..
Wow" I'm a big fan of Park Seo-Joon which the synopsis sounds intriguing with many personalities, to a fact that he probably wanted someone to kill him, but then found someone who really healed him that makes a lot of sense..
Park Seo Joon's casting in Kill Me, Heal Me is unconfirmed at the moment, so this thread will be closed until further notice. Story : The third generation of a chaebol family suffers from multiple personality disorder after going through numerous life-threatening traumas. As he tries to get back on his life on the track with the help of a student majoring in psychology The "seven people" whom he created in his body began their battle to be the final dictator that will have control over his life. (Park Seo Jun) is a genius writer who is determined to find out the secrets and stories of the third generation Chaebol, starts following him around to uncover them but unexpectedly forms an empathy for him instead. He is a quaky mystery writer who borderlines between a thin line of being a genius and an idiot because of his oddball personality and appearance. Having "sniffed" off a large story behind a 3rd generation chaebol, he started following the man around secretly hoping to get aspirations for his next novel. Using his imaginations and his findings, he started to piece his own puzzle of the man's life and unexpectedly forms an unlikely friendship with him and helps him find his own true self again. PlotA love story between the son from a wealthy family who has 7 personalities and a 1st year female resident who becomes a secret doctor for him. NotesDrama series will takeover the MBC Wednesdays & Thursdays 21:55 time slot previously occupied by "Mr. Back".Drama series is a joint production between Korean company "The PaN Entertainment" and Chinese company "Huace Media. "Screenwriter Jin Soo-Wan previously wrote the screenplay for MBC drama series "The Moon Embracing The Sun" which was produced by The PaN Entertainment.Actor Park Seo-Joon has been offered the major supporting role and he is considering the offer positively.Lee Seung-Gi has been offered the lead male role and he is considering the offer positively. “It has not yet been confirmed, but Lee is interested in participating in the drama and is in the last stage of making a final decision,” the star’s agency was quoted as saying to a local media outlet on Tuesday. The upcoming rom-com deals with the subject of dissociative identity disorder and portrays the romantic relationship between a wealthy man with seven different identities and his secret doctor. Lee Seung Gi has been almost confirmed for Kill Me Heal Me. For the drama, writer Jin Su Wan, who wrote KBS 2TV’s Capital Scandal and MBC’s Moon Embracing the Sun, will be joining hands with Kim Jin Man PD, who directed MBC’s Scandal: A Shocking and Wrongful Incident. MBC’s upcoming drama Kill Me Heal Me is a romantic comedy drama that will deal with multiple personality disorder, depicting love between a third generation heir of a conglomerate, who has seven different personalities, and his secret doctor. It is set to begin in January, following MBC’s Mr. Back. Lee Seung Gi is confirmed to headline Kill Me, Heal Me according to KoalasPlayground's article here. Welll, hi there I'm an Airen (Seung Gi fan) since he confirmed the drama, I'll stick to this thread. The leading lady is a mystery to us, if anyone watched her movie enlighten us with her acting!! I'll be grateful. Actress Lim Ji-Yeon has been offered for the lead female role in upcoming MBC drama series KILL ME, HEAL ME. Actor Lee Seung-Gi is currently "positively considering" an offer to play the lead actor in the drama series and Park Seo-Joon a primary supporting character. If actress Lim Ji-Yeon accepts her offer, she will play Oh Ri-Jin. The character is a 1st year resident. She becomes the "secret" doctor for lead male character Cha Do-Hyun. If actor Lee Seung-Gi accepts his offer, he will play lead male character Cha Do-Hyun. His character comes from a wealthy family and he has multiple personalities. 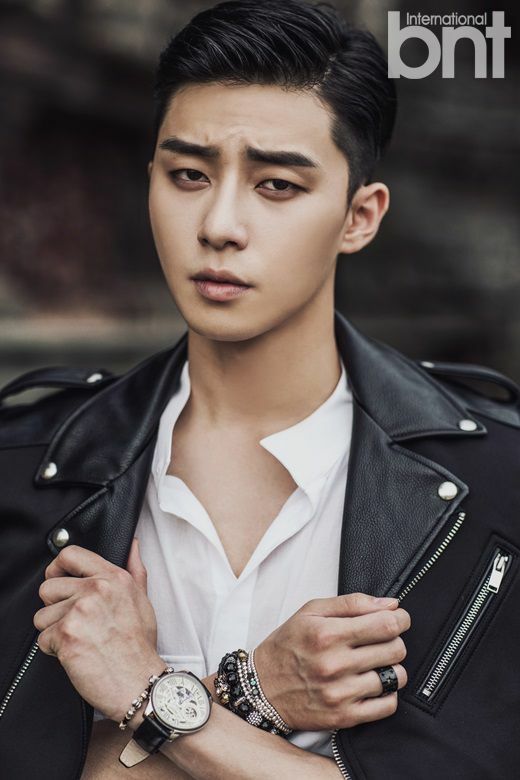 If Park Seo-Joon accepts his offer, he will play Oh Ri-On. His character is the twin brother of lead female character Oh Ri-Jin. It's interesting to note, SBS drama series "Jekyll and Me," starring Hyun-Bin, also deals with the main character having multiple personalities and is slotted to air on Wednesdays & Thursdays at 10PM beginning this January in South Korea, which is the same time slot tentatively slotted for KILL ME, HEAL ME. Anyeong Everyone..!! :-h I'm an Airen too.. SeungGi's fan..
Well, formerly I intend to start join here if he already confirmed take this role, but even though there're still no official confirmation.. seems like it more to positive. So, I think I'll start show myself at least to say hello ^^ (and maybe share info if I have some ). Names in Eng : Park Seo Jun, Park Jun gyu, Kim Hee Jung, Choi Won Young, Kim Hyeri, Lee Mi Do, Kang Moon Sung, Baek Cheol Min. Ms. Kim Hyeri....might not able to act in KMHM for her "news"today.. According to dclsg fans, Kim Hee Jung (Daegu's mom) has been cast in drama KMHM; it'll be her 4th time working with SG. I realized that the twins do look like twins, look at their EYEBROWS!!! They have the same nose, lips, except he's tanned and she's fair. Now I understand why they cast her. And she graduated from the best acting school on SK, so she's good ... she's good. Oh, interesting: Next year’s multiple-personality rom-com drama Kill Me Heal Me, which is heading into final negotiations with Lee Seung-gi for the lead role, is now in talks to cast rookie actress Im Ji-yeon opposite him. I would have expected the drama to cast somebody with more name recognition, or for somebody like Im to get a secondary role, but she has reportedly received the offer to play the heroine who’ll romance Lee Seung-gi. Not that I doubt that a new actress could do a good job, as I’ve been hearing quite a bit about Im Ji-yeon this year despite her newness on the scene, thanks to the intense romantic melodrama Obsessed, which she acted in alongside Song Seung-heon and Jo Yeo-jung. I haven’t seen her acting yet, but when a debut feature role earns you multiple awards and the lion’s share of attention for a movie with bigger stars (she’s picked up wins at the Buil Film Awards, the Film Critics Association Award, and the recent Grand Bell Awards), you tend to take note of the name. Wait anxiously to post in this thread and excited to see Lee Seung Gi again in another great role . I have high expectations with the plot, it is certainly one of the more hope for next year. I will be attentive to all new updates of this drama. mariarodrihuer1 said: Wait anxiously to post in this thread and excited to see Lee Seung Gi again in another great role . I have high expectations with the plot, it is certainly one of the more hope for next year. so happy about seunggi new drama! lets all enjoy 3 months with kmhm together here!! kill me hill me fighting!!! Chae DoHyun's secret personal doctor, who is a first-year psychiatry resident with bipolar disorder. In any case, the heroine’s character is quite the smart cookie, having earned a perfect score on the college entrance exam, and has an easygoing personality (and tremendous appetite) to contrast against her pure, sweet looks. She’ll have a fraternal twin brother whose name is Oh Ri-on. Some of comment on DB seems like taking Bipolar disorder like it is same with D.I.D with 2 persona. But we should keep it in mind that Bipolar is different with DID. Even though people may think that DID patient is just have Bipolar, or maybe suspect Bipolar patient as DID, but both are different. While DID is having more than one personalities which in this drama DoHyun have 7 personalities, Bipolar disorder is more like have cycical changes in mood but it still have 1 persona. Since RiJin is a psychiatrist, maybe her lack of sleeps and should facing numerous psychiatric case become some pressure that made her have Bipolar disorder. Or who knows, maybe there some causes that will deepen her character here. So we will not get the mere nice and sweet female lead here. Looks like it's not only DoHyun who will being healed, but with their love, both DoHyun and RiJin will heal each other..